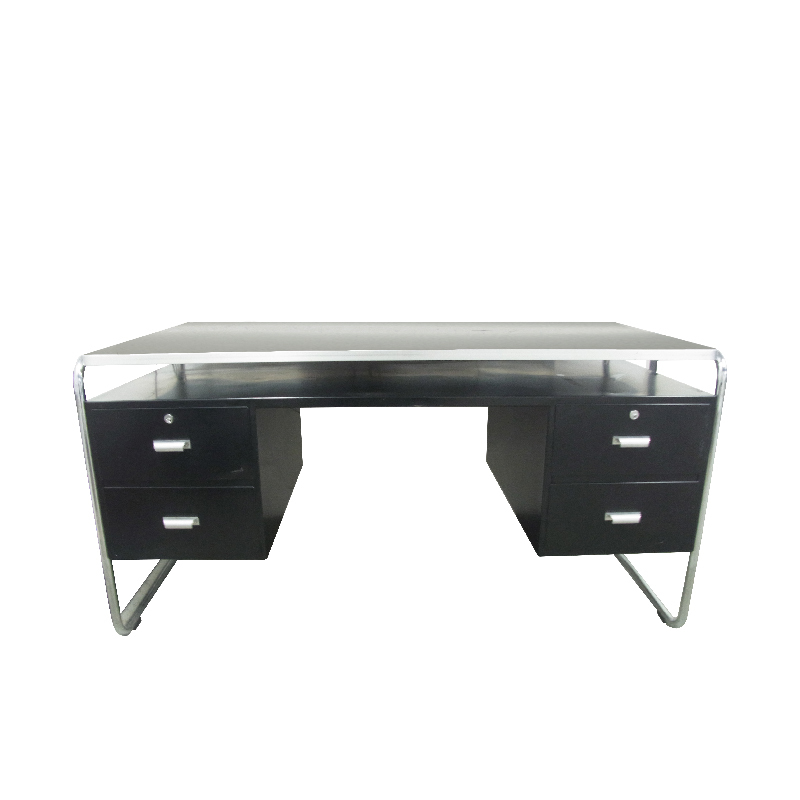 Bauhaus steel tube desk, black, worktop black linoleum very good condition, chrome frame without rust. 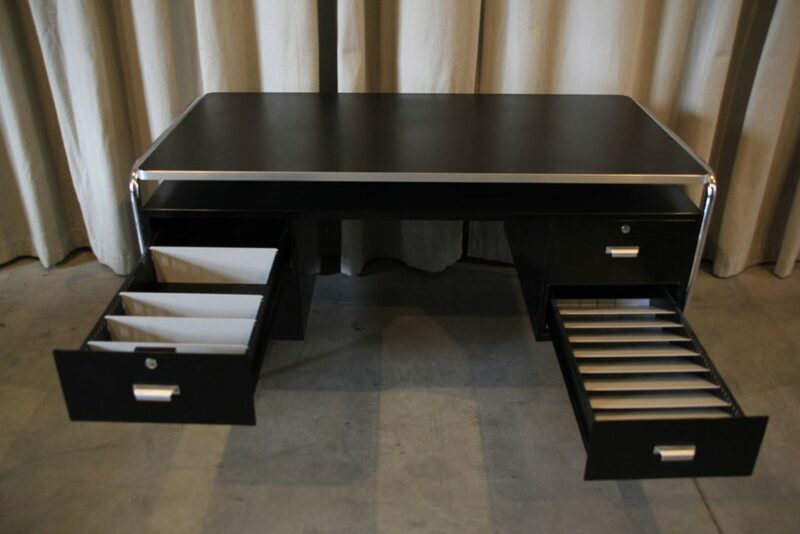 Drawers all in good condition, usual signs of everyday office life. 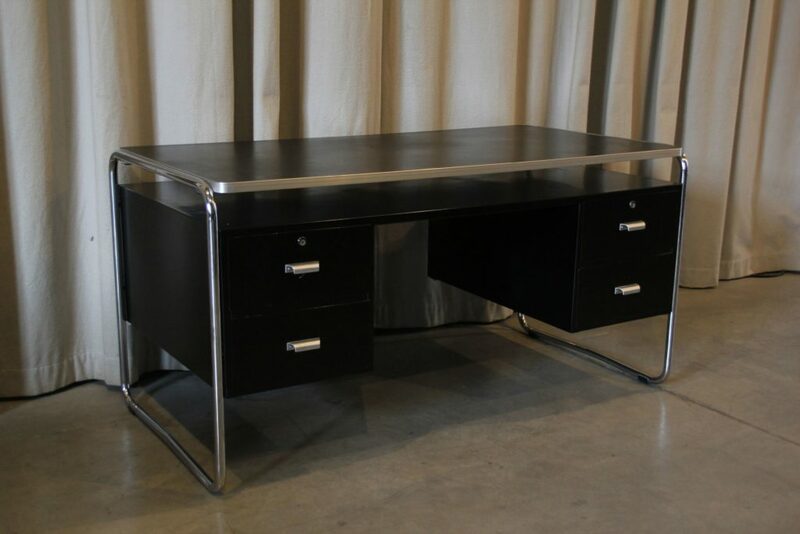 Perfect reproduction of the Mauser desk, produced in the 90s by the company Novex, Switzerland.